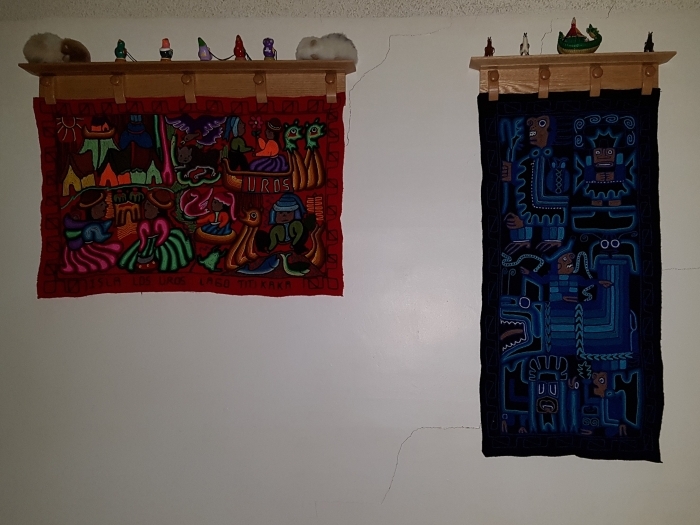 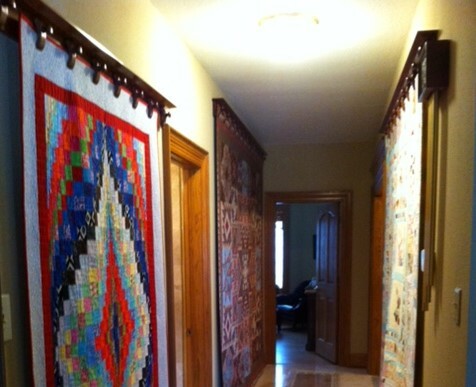 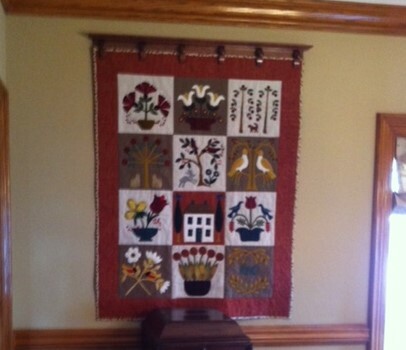 On this page are quilts made by my customers and some treasured wall hangings displayed on quilt hangers that I have made. 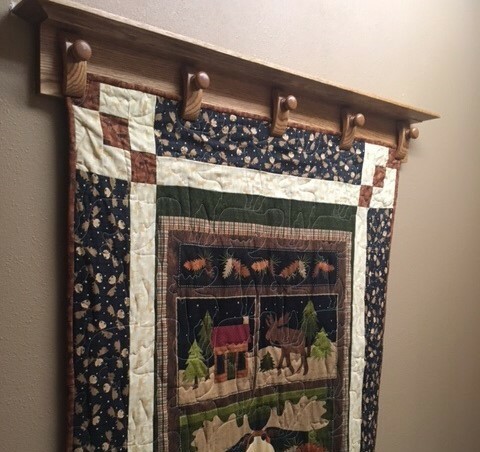 Each of the hangers was made to a specific length and of the wood and finish requested by the customer. 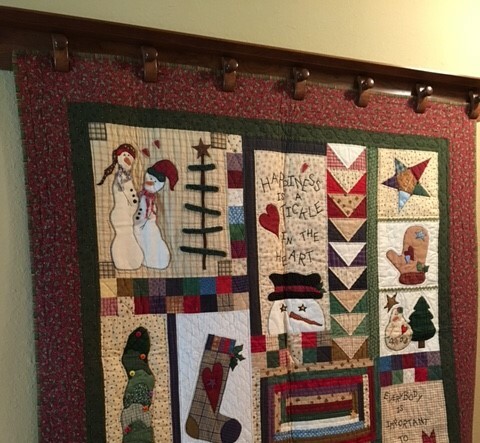 In some cases the hangers were made for particular quilts or wall hangings, while in others the hangers are of a length that will permit the display of quilts of various sizes. 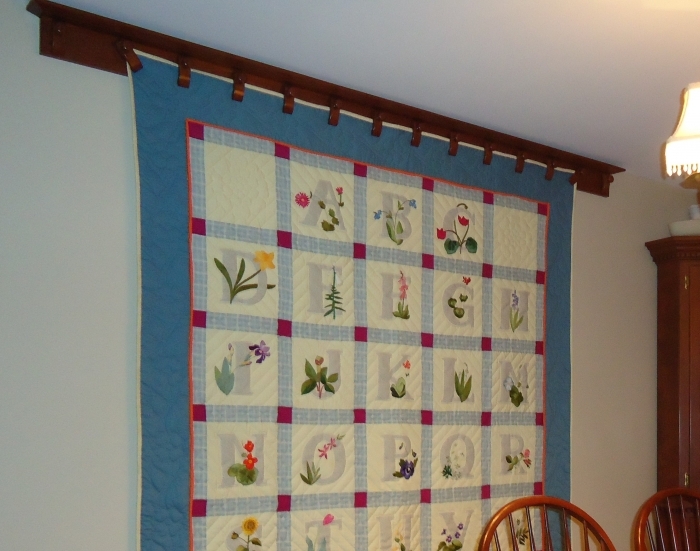 Most of the customers have selected my original design of clamps rather than a continuous pressure board. 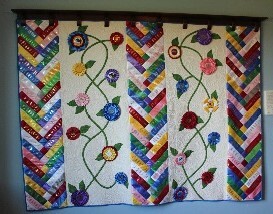 This type permits the changing of quilts while the hanger remains on the wall. 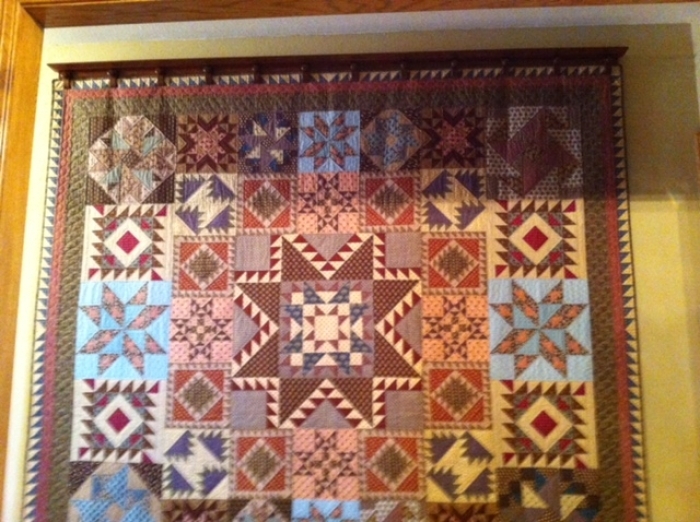 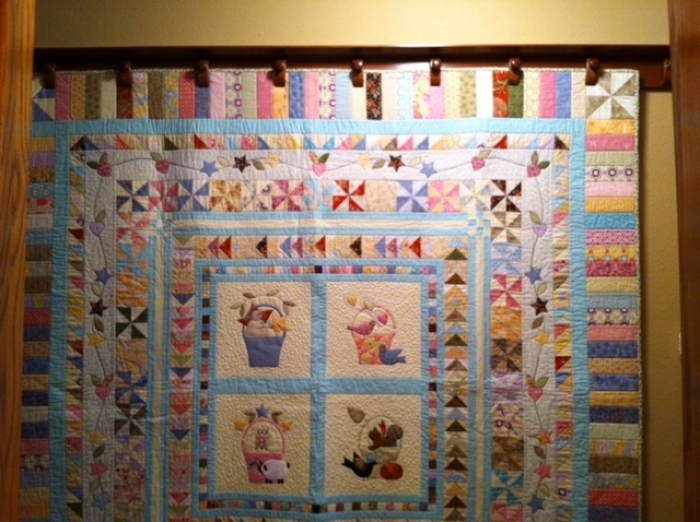 In the words of one customer, "It is wonderful to be able to change quilts by myself. 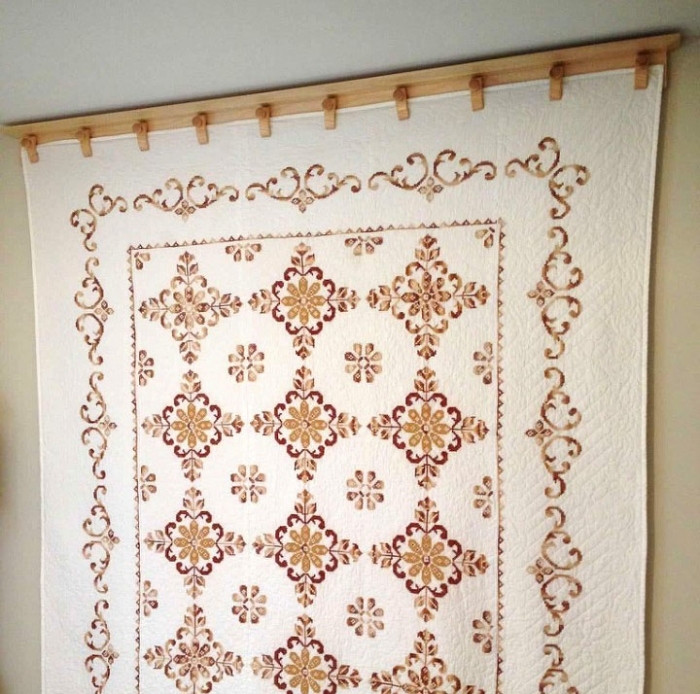 I don't have to beg my husband to help me."